Sean Szymkowski January 22, 2018 Comment Now! 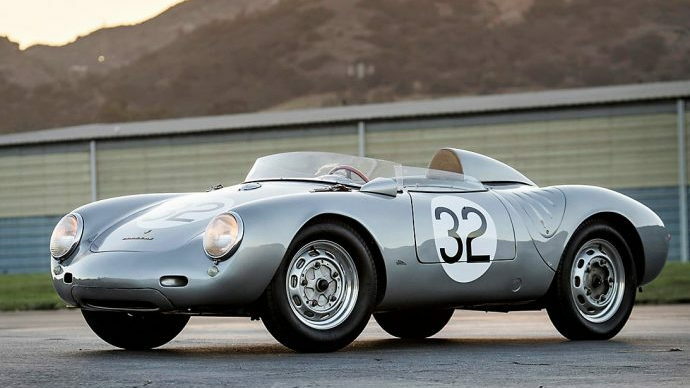 A historic piece of Porsche's history crossed the auction block at Bonham's last Thursday and brought in more than $5 million—$5.17 million to be exact. 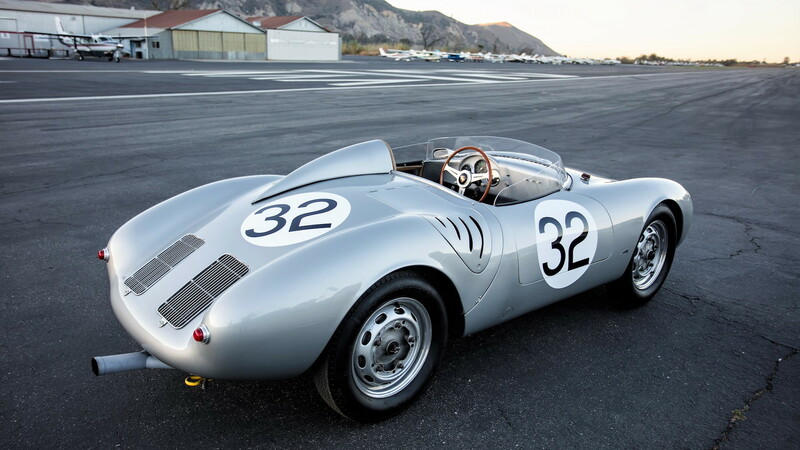 The Porsche 550A Spyder, known as the "giant killer" in its day for racing against and beating far more-powerful racers, was a Porsche Works entrant with a glowing pedigree. The car placed on the podium at the 24 Hours of Le Mans and won its class at the Nürburgring 1000. 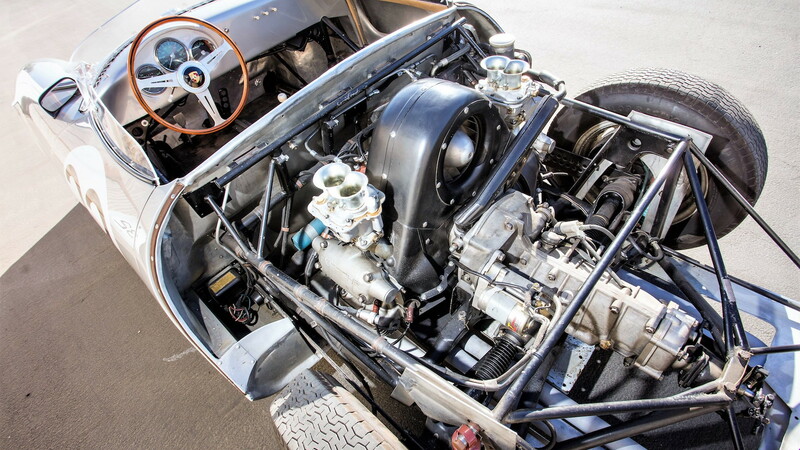 The 550A Spyder accomplished all of this with a 1.5-liter twin-cam flat-4 engine producing 135 horsepower. 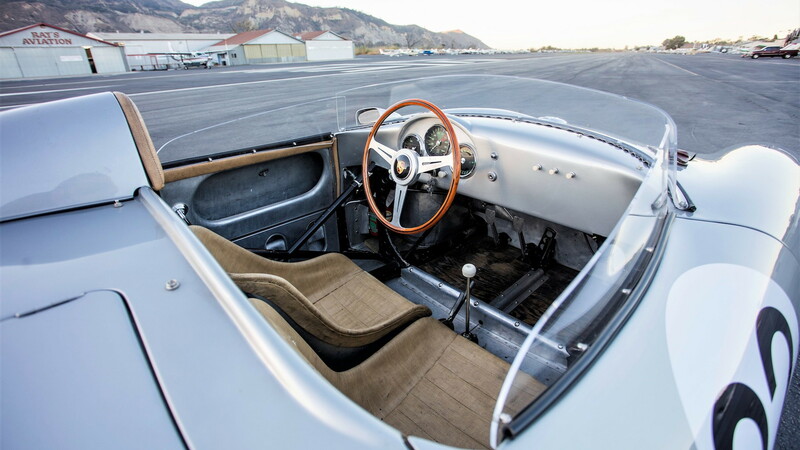 Although collectors adore any 550A Spyder, this particular car is special. It was the second-to-last car built of just 40 cars and it received a host of upgrades over earlier 550A Spyders: higher compression, a centralized distributor, and Weber carburetors all helped the Porsche Works team bring home numerous first-place finishes in FIA motorsport competition, including its Le Mans and Nürburgring showings. Porsche specialist Andy Prill also deemed the car one of the top three examples in the world. A handful of other auctions also saw some notable vehicles head to new homes. Specifically, Barrett-Jackson auctioned off the first production 2019 Ford Mustang Bullitt for $300,000, while a gently used 2017 Ford GT went for $2.55 million. Additionally, the first production 2019 Corvette ZR1 went under the hammer and sold for just under $1 million. Another Corvette, a Carbon 65 Edition, sold for $1.4 million. The money raised from both of the Corvettes and both of the Fords went to excellent charitable causes.